"Come Mix and Mingle with the ladies of the show along with other great business women and men in San Diego at our Real Women Talk Show Presents SUMMER KICK-OFF MIXER. 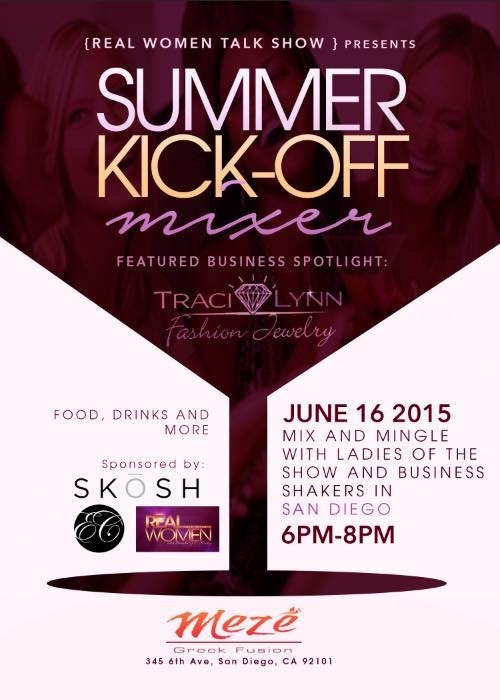 We want to see all the business, fashion and entertainment shakers in San Diego at this mixer!" - Brandee J.